As a child growing up in Idaho, my family and I made several trips to nearby Yellowstone National Park. I remember finding ancient petrified wood and thinking how it would be a great addition to my growing rock collection. Upon seeing me place rocks in my pocket to take home, my parents got down to my level and taught me a valuable lesson; that if everyone took some of this out of the park, eventually there wouldn’t be any left for anyone to enjoy. I reluctantly put the fossilized wood back but took home something more valuable – the lesson of leaving it better than I found it. Flash forward some 8 years, and I was a young scout in Oregon on an adventure hike in the Mt. Hood wilderness. As you can imagine a group of 14-year-olds on a long hike, we were mostly complaining that our legs hurt and we were ready to set up camp and play in the woods. On our hike, we came across a camp that had been used the night before littered with all sorts of trash. Despite our complaints of fatigue and hunger, our scoutmaster made a point to give us a teaching moment. I remember his words well; “boys, I know you’re tired and want to get to our camp, but first we need to leave this spot better than we found it.” After some initial grumblings, we all took off our backpacks and began to clean up the camp. Our complaints eventually turned into accomplishment as we placed the trash in our already heavy bags and left the campsite better for the next occupants. In recent years and with the advent of social media, our public lands and National Parks have become more popular than ever. More and more people are discovering our amazing wild places and are encouraged to adventure and experience these grand environments for themselves, which I am all for – I believe, much like Ed Abbey and other noted environmentalists have stated that nature is a necessity and is good for the soul. However, some of these folks going into Public Lands, either due to lack of education, apathy or some other reason have decided that these places are one big trash can, or worse in some cases, to promote their Instagram handle or other forms of personal expression in the form of graffiti. Too many reports and examples to list show vast amounts of garbage left in campsites and the trails. Many times I have personally discovered vast quantities of graffiti rather it be etchings, marker, chalk, etc. within the walls of slot canyons or other red rock formations. Most notable examples are of the infamous Creepytings who vandalized several National Parks with her street art and acrylic marker. Another is the scout leaders who (not practicing scout principles) toppled over a goblin formation in Goblin Valley State Park, UT. A video shows a group of people knocking over the famous duck formation on the Oregon Coast. Most recently a man was caught carving a loving memento into the side of Corona Arch, BLM Utah. 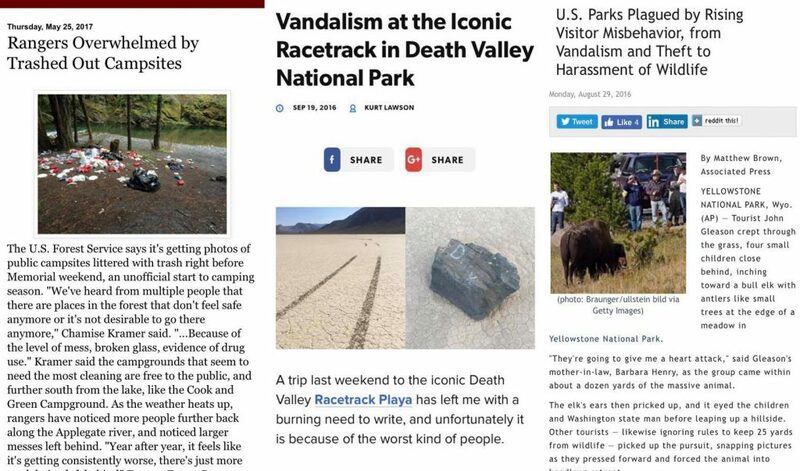 Lest we forget the multiple examples of people harassing wildlife in Yellowstone. The list, sadly, could go on and on. There have been many groups and movements centered around wilderness stewardship. If you grew up in the 80s like me, you might remember Woodsy Owl, who (no pun intended) was a mascot for not littering. While the Woodsy mascot costume of itself was terrifying and the stuff of nightmares (go ahead and do a quick google search), he was a great tool that was geared to teach children the importance of not polluting with his catchy tag line of Give a Hoot, Don’t Pollute. These days you don’t see much, if any, of our old friend Woodsy. 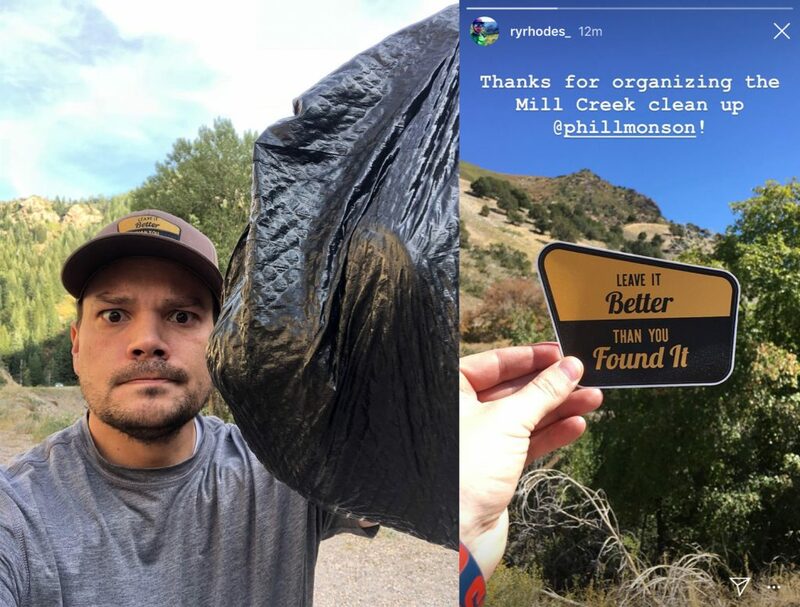 While not littering and cleaning up after yourself seems like common knowledge, National Parks and other Public Lands have found increased litter and trash in the parks, trails, and campgrounds to the point they don’t have the resources to combat the growing problem. Significant effort has been put in by the Leave No Trace organization and reminders of “pack it in, pack it out”usually are at trailheads and campground posts. Still, the problem persists. Because of this, I have been encouraging people to Leave It Better Than You Found It. Those lessons of my youth have stayed with me all these years and unfortunately while leave no trace has done great work; it isn’t enough as these problems continue. It is up to those who are responsible to do some of the heavy lifting and clean up after others and in some cases help with restoration efforts to trails, campsites and other damaged areas. When it comes to landscape photography and photographers, I feel there is a deeper responsibility on our end to use any social media following or influence we have to promote wilderness ethics and to leave places better than we found them. This takes on a higher meaning as we ourselves respect the rules of the parks and public lands. 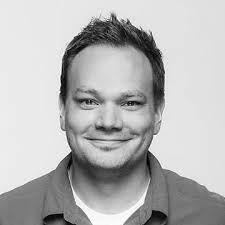 Too often a bad example of a photographer can lead to others copying or replicating the bad behavior (camping in undesignated areas, using drones where not allowed, going over marked off areas to “get the shot” etc.). Leaving it better as a photographer goes beyond picking up someone else’s garbage, but thinking about how your post can affect an area and how it can influence other’s behavior. While I could go on about the subject, I hope that the simple phrase of Leave It Better Than You Found It is self-explanatory. I do believe that by small means, we can bring about profound change to help turn the tide of this sickness. My challenge to you, wherever you are, and especially in Public Lands, National Parks and wild places is to leave it better than you found it.